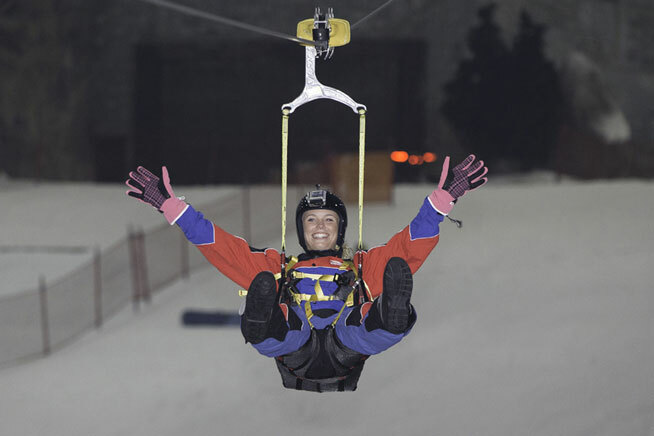 If you want to soar down a ski slope but don’t fancy your chances on skis, try the new zipline at Ski Dubai. The state-of-the-art ride propels you 150 metres down the ski slope, 16 metres above the ground, letting you see the whole mini-resort from on high. 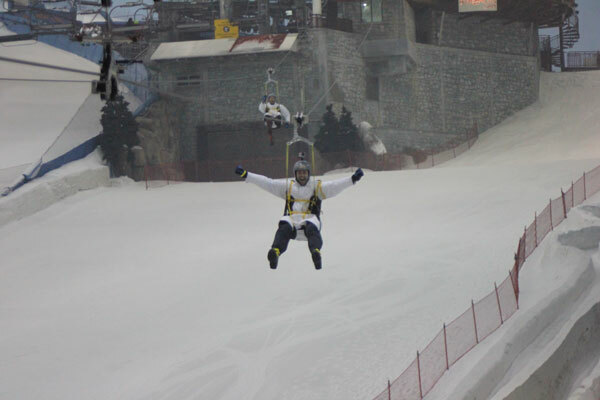 Ski Dubai provides warm clothing – you’ll need it in –5°C – including strong boots for stomping through real snow. 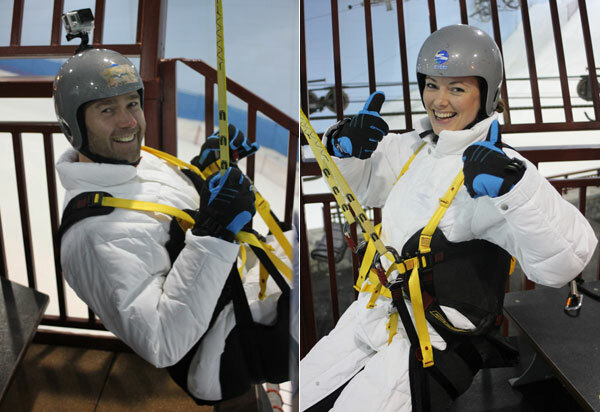 A chairlift takes you up to the launch pad, where friendly staff strap you into a helmet, plus a harness according to your weight (participants must be over eight years old). No clinging on for dear life here – the bum-hugging harness lets you sit in comfort as the experts attach you to a cable. On the parallel cable is your friend or loved one, so you can race each other on the descent. Little secret – the smaller you are, the faster you go, so brunch-lovers won’t be breaking the sound barrier. A quick countdown and you’re off, flying through the cold air like a mighty condor above the Andes. Sort of. A whoop and a cheer later and you’re swinging happily at the bottom, ready for another go (Dhs150 gets you two bites of the cherry). The loser can buy the hot chocolate. And when we say hot chocolate, we mean hot chocolate – the hillside Avalanche café serves it sweet and piping hot, topped with whipped cream and marshmallows. 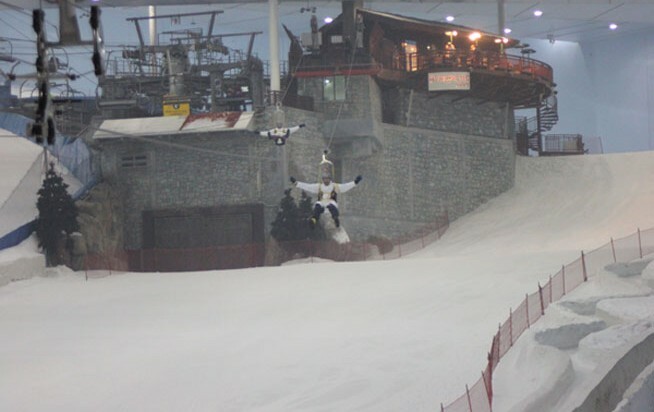 Plonk yourself on the terrace and toast your zipline glory, as skiers slip and slide below. When it’s time to leave, everyone has that pink glow you got when you played in the snow as a nipper. 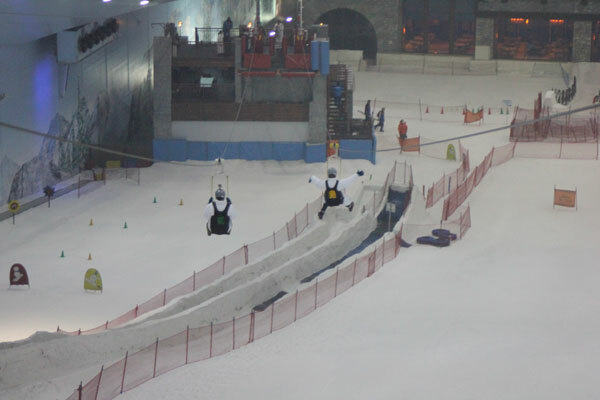 PS – Snow Bullet has fast become one of the most talked about attractions in Dubai. And as she prepares for the upcoming tennis championships, tennis ace Caroline Wozniacki couldn’t fight the urge to try it out. While she was at SkiDubai, she also met the penguins!